Aquarius - Is this the Dawning of the Age of the Anthropocene? Human history on a geological scale is miniscule, tiny – a blip. 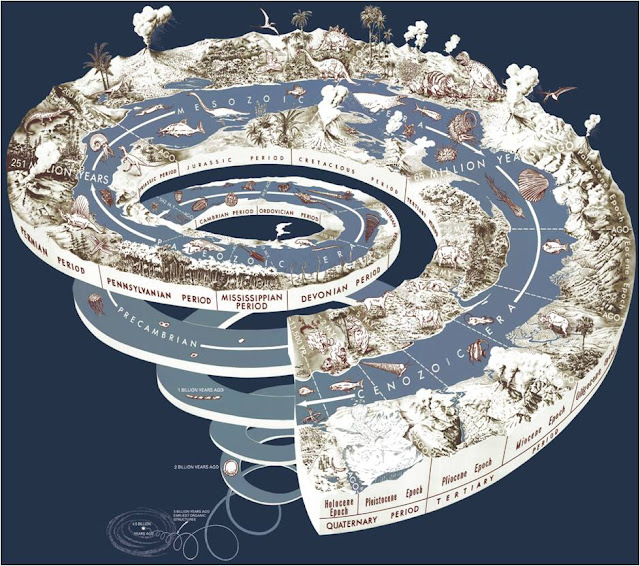 The geological time scale goes back four and a half billion years from the fiery birth of the earth to the present day. 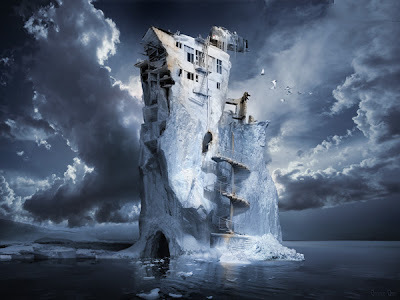 Now, however, some scientists are calling for an end to the current epoch – the Holocene. They are suggesting we have moved in to a new epoch altogether – the Anthropocene. This translates literally to the Human Epoch. So why the need for change? The term Anthropocene was only coined ten years ago by Paul Crutzen. The Nobel Prize winning atmospheric chemist, best known for his groundbreaking work on ozone depletion coined the term to satisfy his need to describe the age in which we are now living. 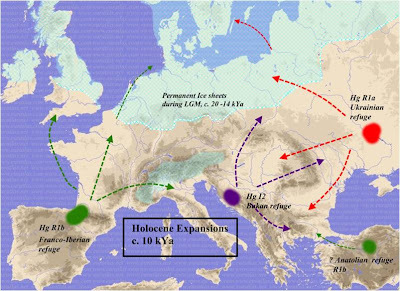 It is different from the Holocene, he argues (image of the Early Holocene left). The Anthropocene is the representation of the effect a single species has had on the planet. That species is, of course, us. His case is that by our actions we are going to leave a permanent signature in our earthly geology. These actions will be traceable back to us even millions of years in the future when scientists (possibly not us by that time) will be able to see the point at which we changed the earth’s oceans and biosphere irreversibly. The geological time scale is vastly important in terms of understanding what has happened to the earth over hundreds of millions of years. As rock is penetrated it delivers revelations about what life was like ten thousand, ten million or at its very beginnings billions of years ago. The changes to the time scale have to this point always been natural. 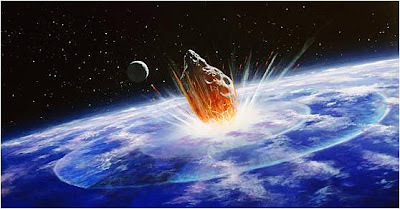 The great big meteoric rock that killed off the dinosaurs for example was one point at which the time scale changed. So indeed was the Ice Age which resulted due to a shift in the earth’s orbit. There are many different epochs and their records are in the rocks. Imagine them like pages in a book, each one making a chapter telling its own part of the planet’s lengthy and complex history. Not just one book, though – think volumes. It’s like one of those huge episodic Dickens novels but about stone instead. Each epoch is only a small part of the scale. They are subdivisions of a Period – the one in which we find ourselves currently is the Quaternary Period. Each Period is a subdivision of an Era. We are in the Cenozoic Era. Still with us? We are currently in the Holocene epoch, which has only been around since the last Ice Age twelve thousand years and is in terms of geological eras still pretty wet behind the ears itself. Even its name translated from the Greek means entirely new. So, why bother with the change at all – couldn’t we, shouldn’t we simply be included in the Holocene? Well, that sets the scene for what will no doubt become the hottest of heated debates in geological circles. Like Knights Templar of stones and rocks, there is a body which guards the integrity of the geological time scale. They go under the marvellous title of the International Commission on Stratigraphy (image in the head of a certain Time Lord flashing his telepathic paper and saying I’m with the ICS – cool). In May they will meet up to discuss the findings of their Anthropocene Working Group (no doubt referred to as the AWG). The battleground is set – with it seems just under half of the ICS agreeing with the need to change and slightly over half of them in favour of giving the idea the old heave ho. 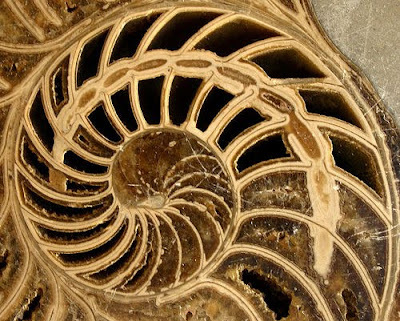 Most foresee, however, that we are living in an age which may well see a massive shift in the contents of the fossil record. However, it was only a few years ago that scientists were predicting a new Ice Age and look what came of that. 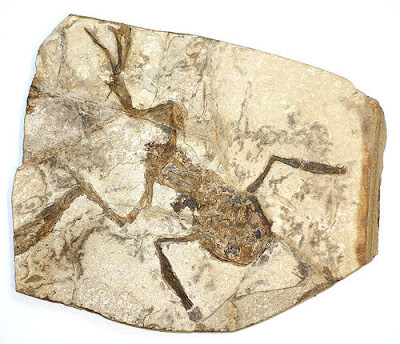 It is possible of course (and many geologists agree) that it is way too early to tell if this will truly be the case as – to put it simply – we just haven’t been around long enough to leave anything but a thin sliver on the fossil record. Although they use the term informally they see no need to, ahem, carve it in stone.